If you own a website but still know nothing about page speed, this article is your help center to stop messing up. Here we will show you up the most valuable page speed optimization tools. 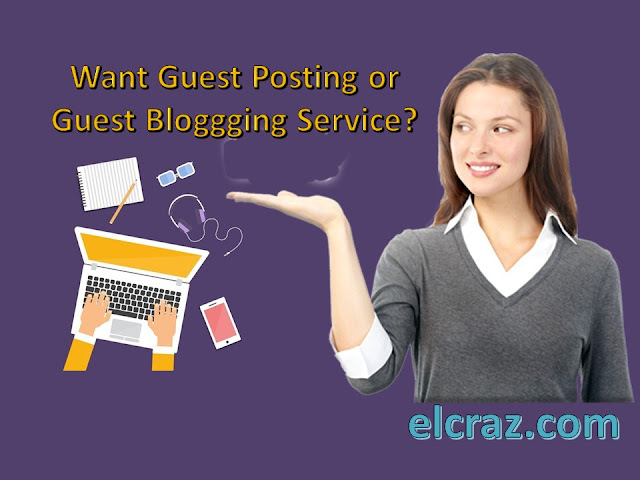 They will help you to put your website in order and so to increase the conversion rate and to boost visitors’ engagement. The thing is that a page speed is your number one point, which you should improve on a regular basis after the aim to create a website. Unfortunately, some website owners neglect it an stop working on a further website maintenance right after enhancing sites with a pleasant design and functionality. Honestly, it seems as weird as eating a half-baked pie. Making this huge mistake, not only they lose a plenty of visitors but also spoil search engine ranking. 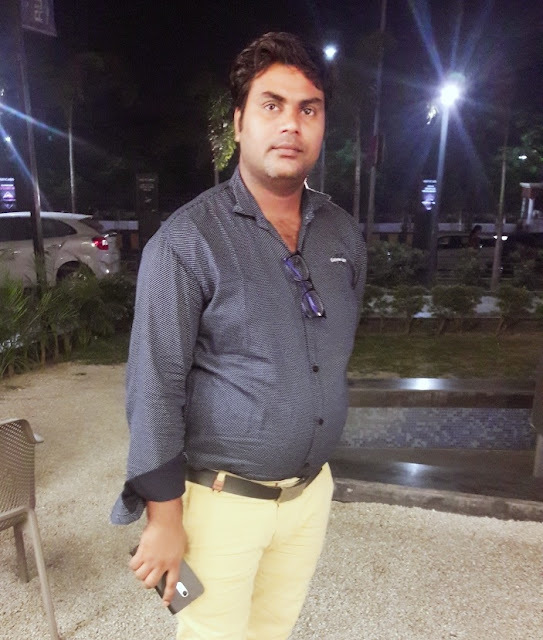 Moreover, they might observe the growth of bounce rates and, at the same time, the reduction of visitor duration on the website. And it is not the whole list of things every website owner might have difficulties with if disregarding the page speed importance. However, there is no reason to panic. It’s better late than never! Let’s find out why page speed can be low and what page speed optimization tools are handy to use. Basically, it really depends on multiple factors. For example, the server performs not good, there is a plenty of plugins, inappropriate redirects, too dense code, or extra large imagery, whatever. To get to the point, there are many tools that help to speed up your business website. We have only the top in our listing below. As we mentioned above, it is important to test a website to find things for further fixing. So, we decided to set up the most appropriate page speed testing tool as a first one in this list. Because everything starts with a proper testing. Google has a nice and user-friendly tool Google PageSpeed Insights, which definitely will help you to deal with your page speed properly. The tool grades your website from 1 to 100. So, the higher grade you get, the better your website’s page speed is. For instance, it checks both desktop and mobile versions of your website. Basically, if your point is higher than 85, there is no need to worry. However, it also depends on the type of your website. For example, online shops rare get a grade higher than 85 because of a rich product catalog and so a wide range of images. So, if you own a store on the web and it gets an 80+ grade, your page speed is all right. Among all page speed optimization tools, we highlight this one for you because it really stands for your site improvement. Here you get valuable recommendations with all necessary links on what to do and where to go to boost your site page speed. 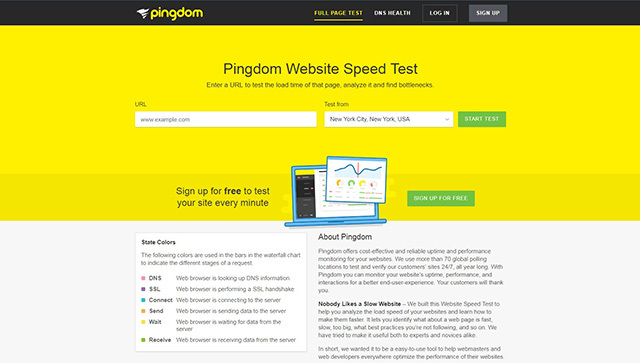 Pingdom is another fully-featured tool for testing your website page speed for free. It provides you with a clear report, which is divided into four different segments. It shows you the complete picture of your website performance and so makes it simple to make amends. One of the most painful things that make your page load everlasting is the imagery on your website. The bulk of websites are too slow just because they are full of large images. What’s the solution? It is pretty simple, just compress your images, make them light as a feather. That is why we would like to present you TinyPNG compression tool. It has a clear interface and allows you to drop up to 20 images, max 5 MB each, in png and jpg formats for free. If you want to compress more images per one file drop, you will need to opt for a pro version. However, 20 images is also not too bad, isn’t it? The tool uses smart techniques to reduce your imagery size with an almost invisible difference. Furthermore, it also optimizes animated png images and so you can spice up your website pages with cool animations with no harm to your page speed! In addition, there are many other free online image optimizer tools that you can easily use for your visuals. 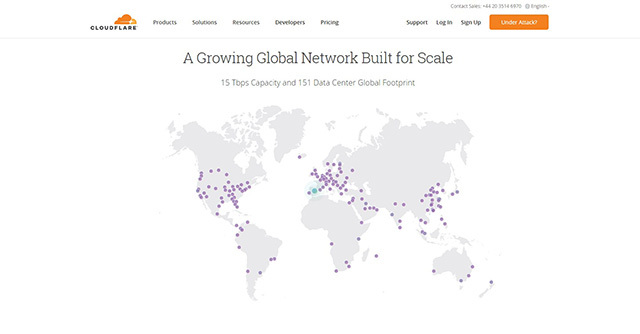 Content delivery network or CDN plays an important role in website page speed. Not only it protects you from DDoS attacks but also delivers your content to users much faster. There is a free plan in this tool, which allows you to use proper global CDN and shared SSL certificates. 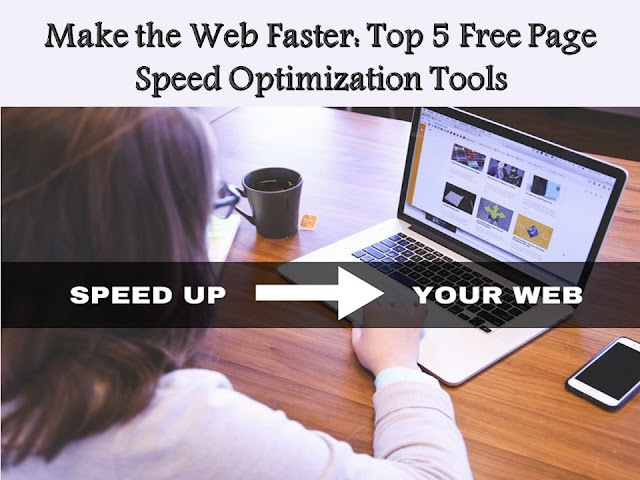 We hope that these page speed optimization tools will come in handy when maintaining a speedy website. Also, pay much attention to the template you’ve chosen for your website. Sometimes, a clean theme can cause you a slow website. So, if you would like to change an existing template, or to build a website from scratch, make sure you opt for a quality product. If you know any other great page speed optimization tools, please, let us know in the comments section. Never give up testing your website and thanks for reading!